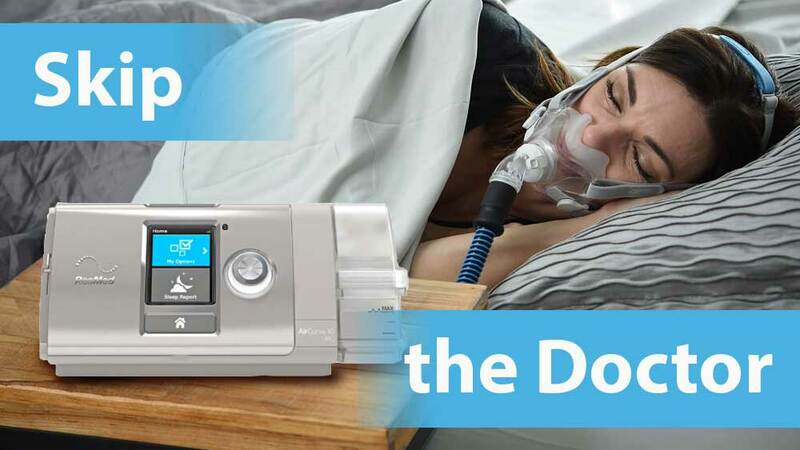 The AirCurve 10 VAuto BiPAP machine is the perfect solution for people with sleep apnea who can benefit from greater pressure support. Built with ResMed’s most innovative technology, the AirCurve uses an algorithm specifically designed to administer the perfect pressure for you without sacrificing comfort. Finally, you can get the therapy you need and have the best night’s sleep possible! 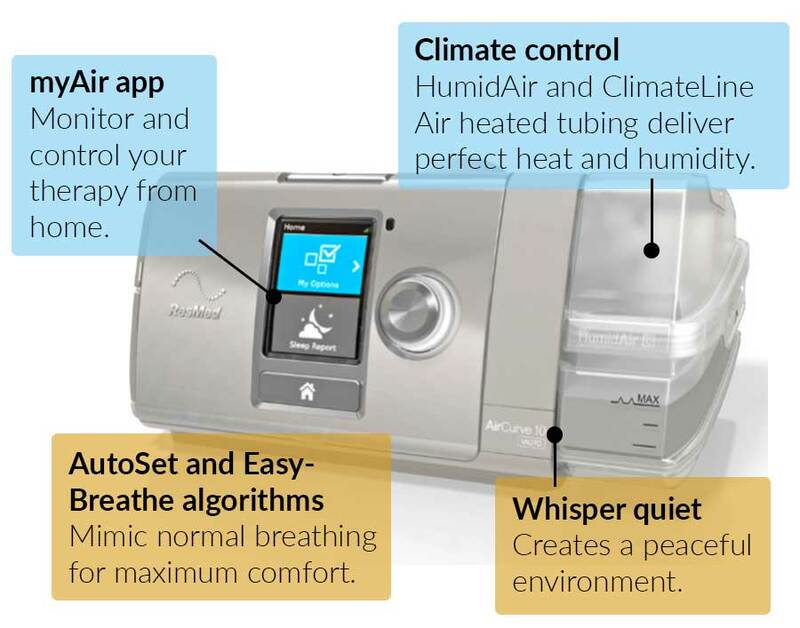 AutoSet algorithm and Easy-Breathe waveform mimic the wave shape of normal breathing and replicate it for your breathing comfort, adjusting pressure on a breath-by-breath basis. Climate control with HumidAir and the ClimateLineAir heated tube mean that your device has been designed to deliver the optimal temperature and humidity to maximize comfort. Whisper quiet Easy-Breathe motor makes for a more peaceful environment for you and your bed partner. Vsync continuous leak management ensures that you receive reliable sleep therapy all night long. 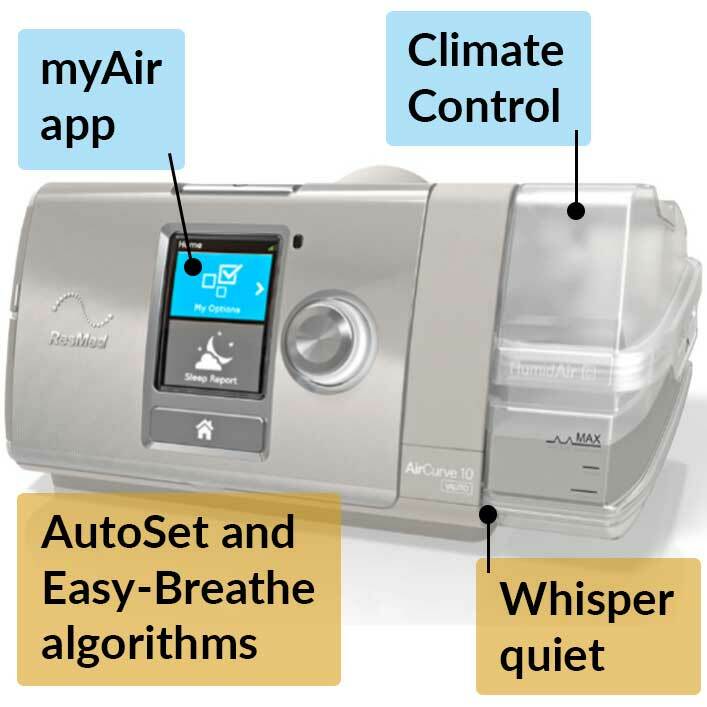 myAir app allows you to monitor and control your therapy at home from your computer or smartphone. For a limited time get a free prescription renewal without a trip to the doctor! 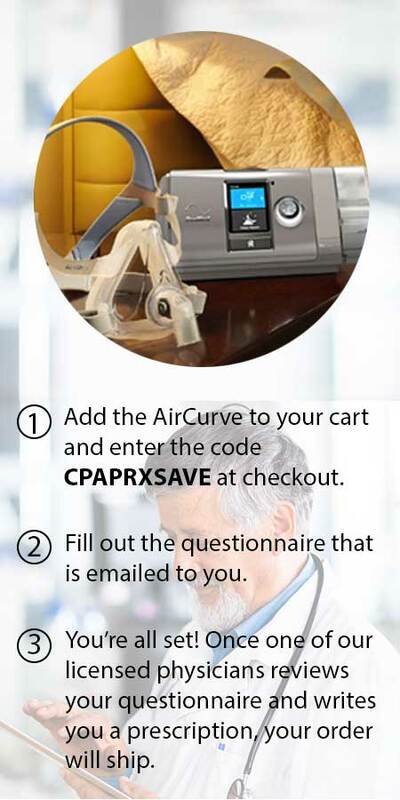 Get the CPAP Prescription Package [$99 value] FREE. Our prescription package provides a renewal prescription in as little as 1 business day. The prescription will be emailed to you, and is valid for 8 years. We will also keep your prescription on file, making it easy for you to get your CPAP supplies from Easy Breathe. What are people saying about the CPAP Prescription Package? “I would use easybreathe’s prescription package again in a heartbeat. 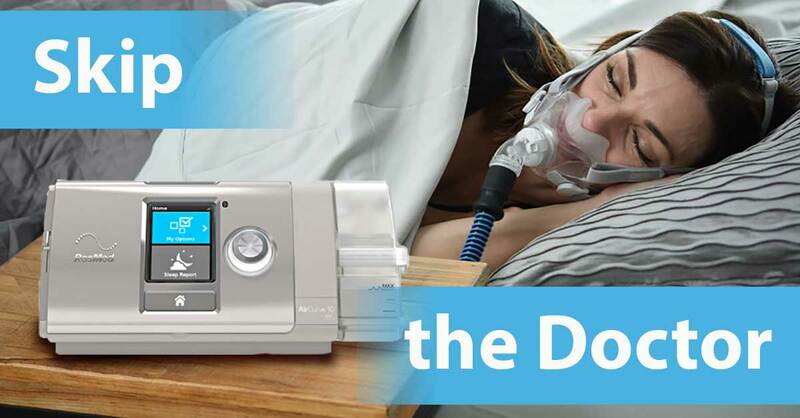 It is that quick and easy to use without the hassle and expense of unnecessary doctor appointments and redone sleep studies.” —Kristina R.
“EASIEST CPAP PRESCRIPTION RENEWAL EVER!! 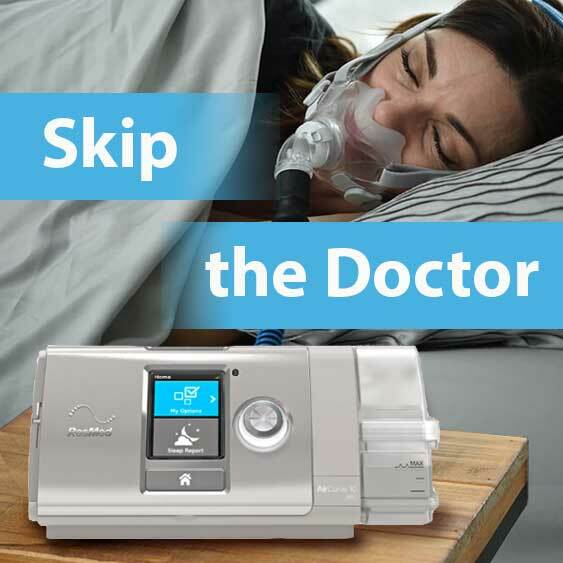 Fast and easy., and best of all – no return trips to a specialist with high co-pays!” —Pam D.
Previous Post:ResMed’s Brand New AirFit N30i With Nasal Cradle Cushion | On Sale Now!